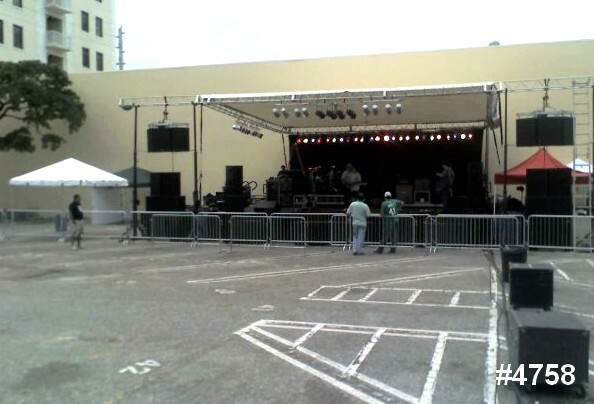 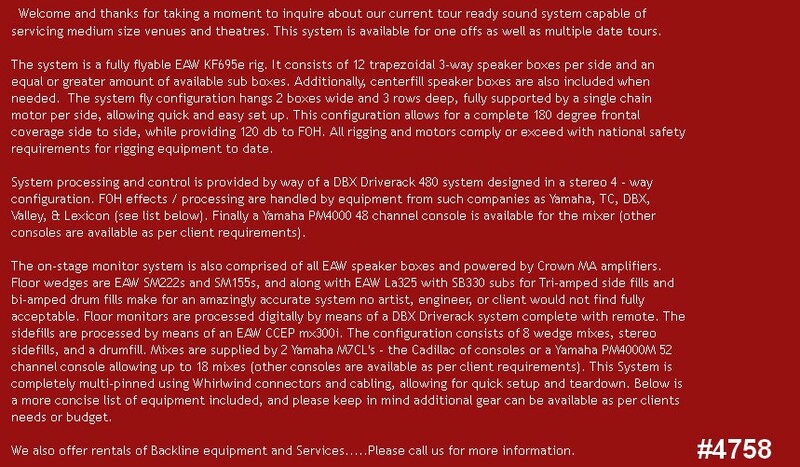 ACOUSTIC ART CREATIONS YOUR ONE-STOP FULL SERVICE EVENT PRODUCTION COMPANY... Based in South Florida, we service the entire state and beyond. 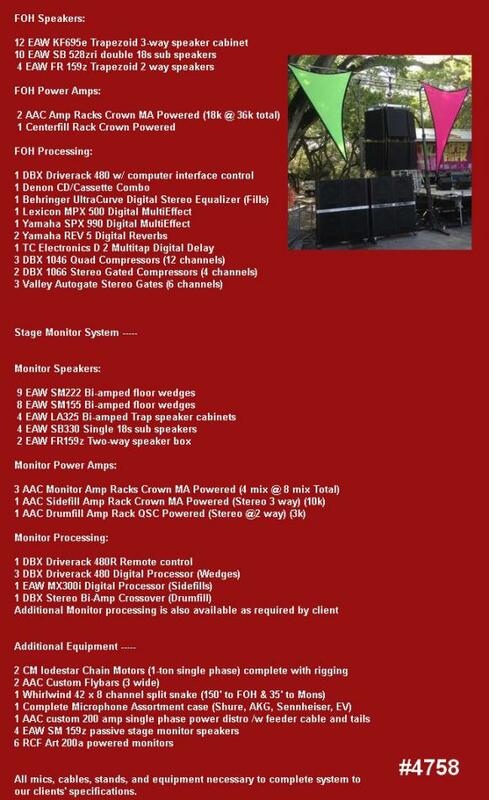 ACOUSTIC ART CREATIONS provides professional service, a knowledgeable staff, and state of the art equipment to our clients, making us a valuable asset to every event production we undertake. 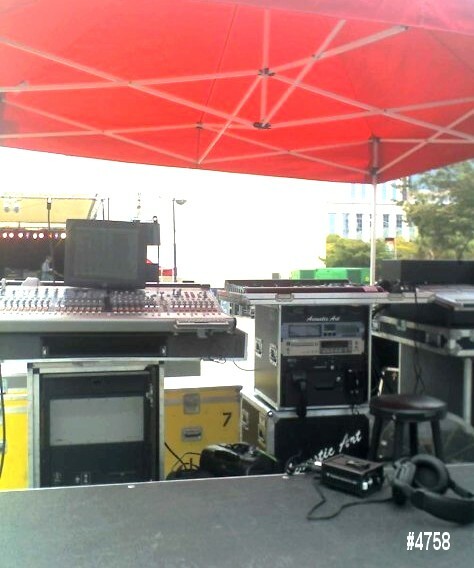 Contact us for a quote on sound reinforcement, lighting systems, staging, musical backline and any other production requirements you may have.